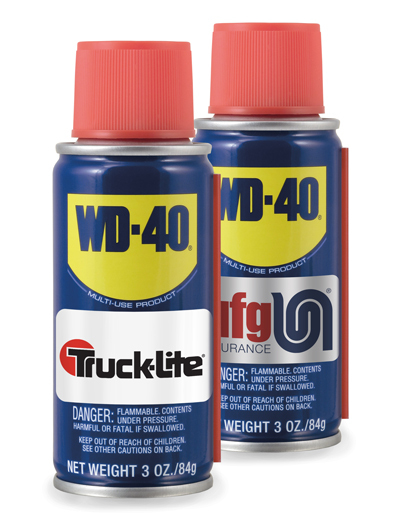 WD-40® , the iconic American brand, is now available with custom imprint. The travel-sized WD-40 3 oz Handy Can is always ready to tackle your toughest jams. Protects, cleans, and lubricates. Custom imprint on white or silver metallic label. 96 units/33 lbs per box. Box size: 15 x 11 x 11 inches.